What 3-5 factors are most important to consider to help predict future relationships between currencies? The main determination for currency movement is the key interest rate for that particular country. For the US, if the Federal Reserve says there will be a major hike in interest rate by December 2016, it will struggle against other currencies. The expectation of the interest rate is the main factor. The second thing is economic outlook and future growth expectation in that particular country. The US regularly release a jobs report that will give you insight into where the economy is heading. Manufacturing, retail sales, and inflation can weight a lot on the currency movement. The third thing is political balance and uncertainty in that particular country. The GBP has dropped 28% since Brexit. Even though the UK is still currently within the EU, the uncertainty of the situation has had an effect. In the next couple days, the US election will play a major role in the deciding the USD movement as well. What particular 2-3 factors are you looking at to help you predict the Pound to USD relationship over the next two months (Nov/Dec 2016)? The biggest factor will be the election. Donald Trump is causing major volatility in the stock market. Depending on how the elections turnout 8 November, we could see a lot of volatility. In Mannan’s opinion, if Donald Trump gets elected, we could see the sterling spike to upwards of £1.30 per dollar overnight because Trump himself, is unpredictable. Another factor that could affect it would be that in December 2016, the Fed plans to raise interest rates. According the Mannan, the election will determine what the Fed will do in December. 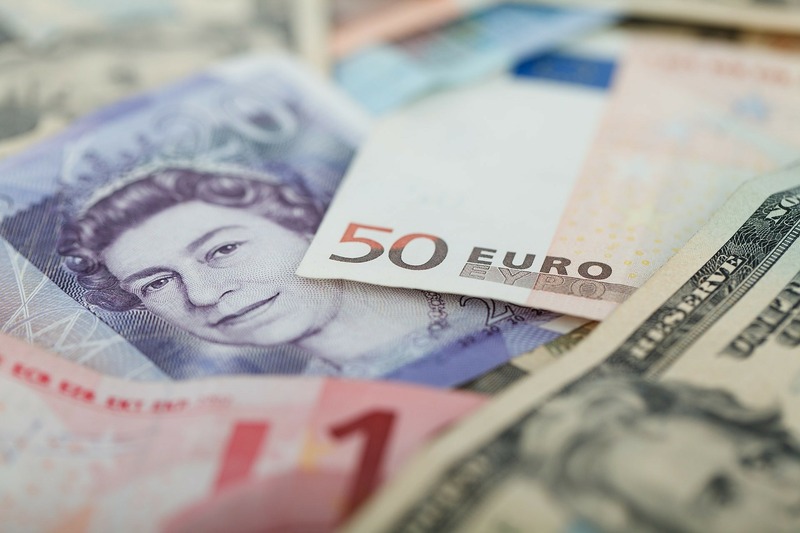 The euro and the dollar relationship is quite important for UK sellers since they often sell in Euro to the rest of the Eurozone but buy their products in dollars from Chinese suppliers. What’s your prediction on the future of the Euro vs. the dollar? The euro and the dollar have been trading in a tight range for about a year and a half. It has been trading between €1.08 and €1.14 range. Going forward, he doesn’t see that changing much. The main expectation is on the US side now; looking into 2017 and seeing what the Fed does. Recently, the euro dipped to €1.08 but has bounced back to €1.11. If the Fed decides to raise rates in 2017, we could see the euro drop to €1.05 and possible €1.03 for every dollar. The euro will remain much more stable against the dollar than the sterling because of Brexit. Brexit will continue to drag the value down for another year or two if not more, as everyone waits to see what deals the UK makes with other countries once they are out of the EU in 2019 or whenever that happens. When you have speculation in the news all the time, that reflects in the currency markets with volatility so the rates keep shifting. Is that correct? Yeah. Generally, the way the currency market moves, it looks for what is coming next rather that what has already happened. What is usually on Bloomberg or other news sources is what has already happened. So the big article will be that the Fed says this, but the market has already moved based on expectation. If the outcome isn’t what the market expected and there is a big shock, then the market moves dramatically. Much like what we had when the Brexit vote came in. Just before the results were announced, it was believed that the people would vote to remain in the EU, but 4 hours later the market dropped 1100 points. To sum that up, if something is expected, that has already been priced into the market. It’s the unexpected events that causes weird volatility. For example, if the markets expect the UK to leave the EU with almost no rights to access it, such as no passports for the city of London, and so forth, then that will already be priced into the currency exchange. But if May comes out of the meeting and actually, the EU will be generous to Britain, and they have done something special, you could see the pound suddenly get much stronger. Exactly, as long as the expected happens, you won’t see much movement. For example, in the US election, Clinton is expected to win. If Trump comes out as the winner, that would be a shock to the market and you might see the S&P drop 5-7%. What can we, as small businesses, do to help mitigate those risks in a practical sort of way over the next couple months? Taking into account the US elections, Federal interest rates, and the UK politics surrounding Brexit. Take advantage of forward contracts to lock in currents exchange rates and avoid any uncertainty. If your feel that your margins are good enough, you can make sure that, regardless of what happens, you will have that same rate. Then you can work your pricing on the product. Can you share your best practices? The first thing you should do is get yourself set up with a free e-tailer collection account. This will help avoid expensive conversion costs. When you are buying stock from your suppliers, don’t use banks for supplier payments, use Currencies Direct. This will save you money on currency exchange, which lowers your cost and improves your margin. Not only do banks tend to hit you with extra charges, they sometimes take three or four days to send currency whereas currency exchange specialists will generally send it within 24-48 hours. Take advantage of your account manager. They can help you set up forward contracts if needed, as well as contact you if there is a notable movement in exchange rates and you can set up notifications so that you are always up to date with what’s going on. Is now a good or a bad time for UK sellers to be targeting the USA? Now is the best time to start targeting the USA. Exchange rates haven’t been this low in 30 years. Since the GBP is weakening against the USD, that means you get more pounds per dollar, and you have to sell less to make the same amount. Many of Oriana’s clients are acting quickly trying to capitalize on the lower exchange rate. Let’s say I have £4,000, or about $5,000 and I want to start an Amazon business. I will be selling in the US with USD, and buy product from Chinese suppliers in USD. Is that a good situation to be in, considering the state of things? Yes. You’ll be making more money in the US, but might be losing a bit buying in China. It will balance each other out, and the account managers at Currencies Direct can help mitigate some loss and offer guidance. Oriana Marcolongo is the ecommerce partner manager at Currencies Direct. Currencies Direct are Currencies Specialists and Oriana is very experienced at explaining the the technical side of this area via webinars etc to ordinary business people. Why do we need to think about Currency as small business owners? Cross-border trade is the norm now, so small business owners do need to think about currency. If you look at the business cycle, there are three key stages where it has an impact. The first stage is that it affects the price of buying stock from overseas which will determine the cost to the business. The second part is when you’re selling products. The foreign exchange rate will determine the margin you get from your sales. Thirdly is when you need to convert those profits back into your home currency. At what point should a company start looking at FX when considering to trade overseas? Oriana sees this as two key areas where a company should look at this. One is at the strategic level. Business need to decide which markets they want to sell into, and currency’s a factor. So if a market is weak, they might pause selling into that market for a while or decide to look at other markets that will be more lucrative for them. The other is at a tactical level. Companies need to consider currency from the planning stage. If they’re trading and source stock again, the FX cost will drive the cost of the products, and directly affect the profitability. If they are selling solely in foreign currency, then the cost of converting the sales could be a concern as well as the change in revenues due to the moving exchange rates. Since Brexit, sellers in the UK have lost buying power in China since the GBP has lost quite a bit of value to the USD. Before Brexit, £1 would get about $1.48. Immediately after the vote, it would only get about $1.33. Recently, every £1 we exchange gets us just $1.22. Now, when we go back to the supplier to re-stock, it going to cost us a lot more. Can you give me any tips on reducing my foreign exchange fees in the global marketplace? I want to expand my business internationally, but we are worried about the cost of foreign exchange. To give everyone a bit of silver-lining, when you sell in the US, you will be making more money back. In terms of foreign exchange fees in global marketplaces, when you sell internationally, you need to bring your money back; there is a conversion cost. Using a Currencies Direct collection account, you can cut your exchange fees in half. It works especially well if you’re selling into the Eurozone, US, or the UK. It’s free to setup and account and you can be up and running in 48 hours. Currencies Direct will assist you in getting the profits you earn in foreign market, back into your home currency. So if you’re selling in the US, they will help you get it back into GBP. Is it possible for me to pay suppliers through Currencies Direct? If I’m selling in the US, and I want bring the dollars back to the UK as dollars, that way I can pay my suppliers in USD and stay in the dollar economy. If you want to pay your suppliers through your collection account, the money will first have to go back into your bank account before they can be passed onto other suppliers. Their account managers can help you with this to make the process quick and efficient. You can pay suppliers directly through Currencies Direct, or you can do that through your own bank account. How can we maximise US dollar sales when repatriating them to the UK? There is a cost with repatriation which will affect your entire sales turnover. So in order to maximise you USD sales, they recommend setting up a collection account, which will save you money. On Amazon, you will be looking at around a 4% conversion rate, they are about half that. If you’re trading £100,000 and saving 2%, that’s a substantial amount. I’ve noticed lately, that with the uncertainty of the pound, it can fluctuate substantially in a short period of time. What are the main tools to help protect your profits from foreign exchange movements? There are simple tools that will help you with this. One of them is called a forward contract. This enable you to fix exchange rates you see today, for use later on. If you see that the dollar rate is really low, you can contact your account manager and buy a lot of dollars today and use them by the end of January. How do forward contracts work? We’re placing an order for about £5,000, about $6,000 at the moment. We’ve split it, like you normally would, 30% down payment and 70% after the production period. In this example, if you wanted to lock down the exchange rate for the whole deal, how would you go about doing that? To give an example of that looking at pre-Brexit. Let’s say you placed an order with them on 1 June for €10,000 and you wanted to use them by 10 August. The rate had dropped massively by that point. If you had waited, the products cost would have gone up by about 15%. By securing the rate pre-Brexit, you would have saved significant capital. Is the contract between me and Currencies Direct, or the person I am ultimately getting the money to, i.e. the Chinese supplier? The contract is with Currencies Direct, not with your supplier. Then, in theory, I could exchange £10,000 to $12,000, or whatever it is, until July of next year, and effectively keep that money on hold, and when I exchange it, it will be at that price. Is that how it works? Yeah. You will pre-agree with your account manager what the time-scale will be and how/when you’re going to pay it. As long as you have the rate, the amount, and the final date secured. However, you may not want to hang on to it that long. Let’s say I wanted to exchange $50,000 at the current exchange rate, say 1.22, and I wanted it to go until the end of January, would that enable me to send it to any Chinese supplier that I want, assuming I’m paying them in USD? As long as it goes back into your bank account, your account manager can work with you to get that done. That is one of the benefits of working with Currencies Direct, you have a dedicated account manager that will walk you through any process so you’re not alone at any stage. There are a lot of compliance issues that their account managers are experts in, that can save you quite a bit of hassle and legal issues. Are they worth using for small orders, say a few thousand pounds or a few thousand dollars? Realistically, it’s not worth doing for less that $25,000, but there is no reason why you can’t. Your account manager can give you some guidance.